It took a violin virtuoso leading the band at an upscale New York hotel to turn the world of dance records upside down. 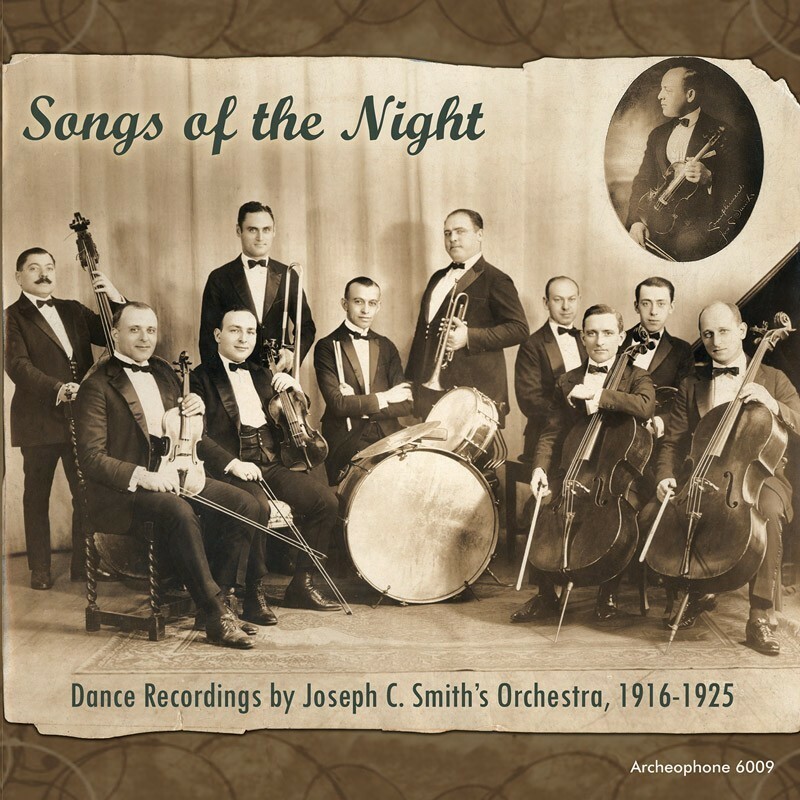 Eschewing the cold, impersonal arrangements of military bands, Joseph C. Smith brought a warmth and intimacy to the soundtrack of the 1910s dance craze--always with taste and discipline. He reinvigorated the waltz, helped standardize the fox trot, incorporated vocal refrains, and introduced many future classics. For a brief moment, the night belonged to Maestro Smith. Featuring 47 tracks recorded between 1916 and 1925, these two CDs and 32-page booklet tell the story of Smith's career and the innovations he pioneered. Researcher Ryan Barna has uncovered new information on Smith's life and shares valuable insights into the bandleader's singular contributions during the rapidly-changing world of early-century dance music. Visit Songs of the Night's expanded catalogue page to see the complete track listing, read an extended description, and listen to sound samples.